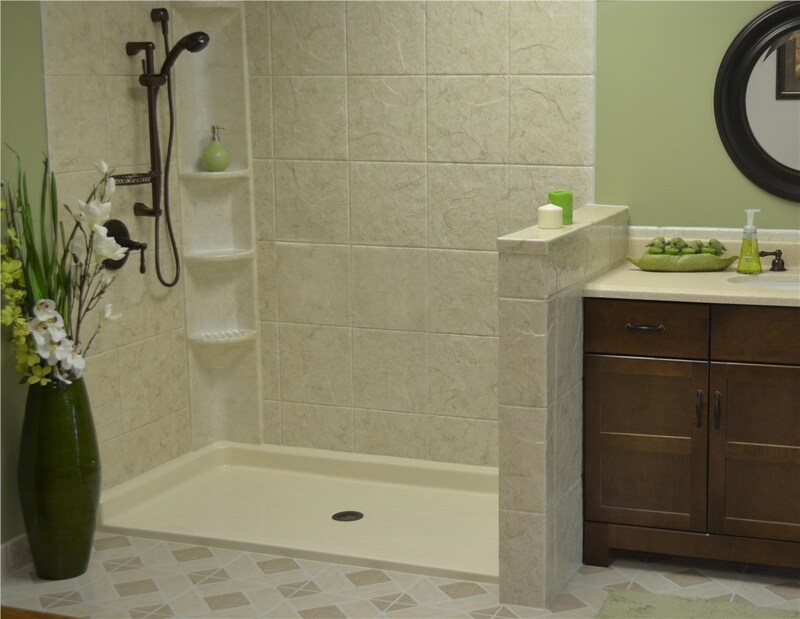 We can install a barrier-free shower system with a shower pan that allows a wheelchair to roll right in. Using our other optional safety equipment, like safety bars and seating, your barrier-free shower can be made to suit your precise needs. 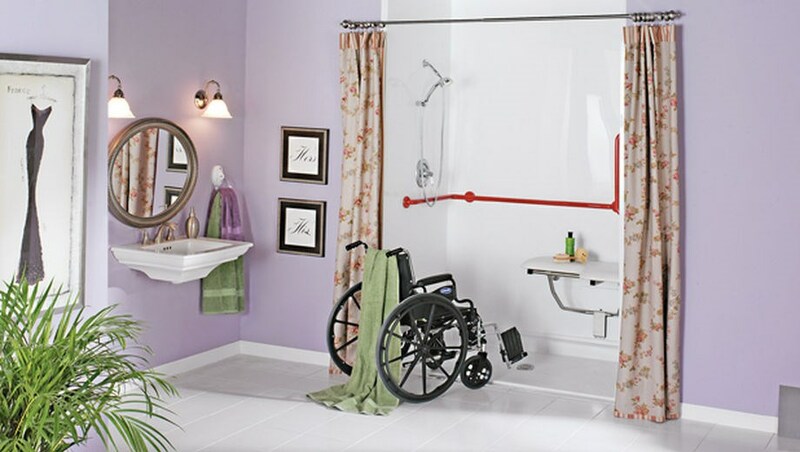 Ask about our complete line of ADA compliant grab bars and seats.